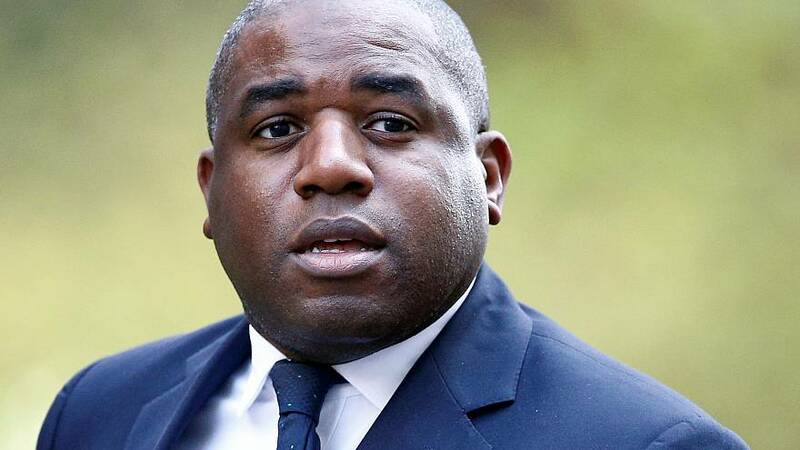 British MP David Lammy declared on Sunday that his previous comparison between far-right Brexiteers and the Nazis was "not strong enough". He also wondered "what kind of country" the UK would become if far-right Brexiteers came to rule it. Asked by BBC presenter Andrew Marr if his comparison between members of the European Research Group, a pro-Brexit group of Conservative MPs led by extreme Brexiteer Jacob Rees-Mogg, and the Nazis and South Africa's white supremacists was appropriate, Lammy answered: "I would say that that wasn’t strong enough." Marr was referring to an earlier speech of Lammy's, in which the MP quoted Winston Churchill who, in 1938, said: "We must not appease Hitler", and Nelson Mandela, who said: "We must not give in to apartheid." "We will not appease the ERG," Lammy said at the time. "We will not give in to the ERG." "In 1938", Lammy added, "there were allies who hatched a plan for Hitler to annex part of Czechoslovakia, and Churchill said no, and he stood alone." When Marr noted that he was talking about elected politicians, Lammy replied: "I don't care how elected they were, so was the far right in Germany" [in 1933]. Lammy talked about the links between Boris Johnson, the UK's former foreign secretary, and Steve Bannon, who worked as US president Donald Trump's campaign advisor, and quoted a tweet from Jacob Rees-Mogg that praised the leader of the German far-right party Alternative für Deutschland (AfD). "Ask Boris Johnson why he’s hanging out with Steve Bannon", Lammy said when asked if he sees Rees-Mogg and Johnson as modern-day equivalents to German Nazis. "We have, in the ERG, in Jacob Rees-Mogg, someone who is happy to put on to his web pages the horrible, racist AfD party, a party that’s Islamophobic and on the far right," Lammy said. He repeated: "We must not appease. Of course we should not appease that." Lammy, who described himself as a member of an "ethnic minority", said he was shocked to see the ERG use the phrase "Grand Wizards", a reference to the US white supremacist and racist Ku Klux Klan group. "What kind of country are we going to be like if these people are running it?" he asked. After the show ended, Lammy answered comments on Twitter by writing: "We cannot afford to give the benefit of the doubt to those making links with or offering cover to the extreme right. History has taught us this is too important to be complacent."